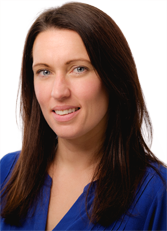 Lydia joined the firm in 2005 and specialises in property litigation ranging from recovering possession on commercial and residential premises, disrepair issues and boundary disputes, right of way disputes and Party Wall Act matters. She also deals with complex Trust of Land disputes as well as acting for registered social landlords in recovering possession of property and obtaining anti-social behaviour Injunctions. Having completed a Masters in Construction Law and Dispute Resolution from Kings College, London in 2009 Lydia also advises on various construction disputes. ‘A gem in the Hull legal market’, Bridge McFarland fields ‘a brilliant team of exceptional litigators who manage to balance a legal framework with a commercial approach to find the best possible solutions’.